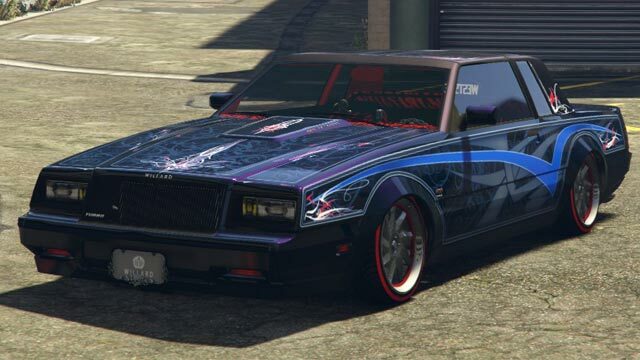 The Willard Faction is a 2-door muscle car featured in GTA 5 Online for PlayStation 4, Xbox One, and PC renditions after the GTA Online: Lowriders Update. The car resembles a 1982-1987 Buick Regal. The Willard Faction is powered by a hefty double overhead camshaft turbocharged V8 with a large air intake centralised on the engine bay. Just like its badges state, a turbocharger is present to the bottom left of the engine. The car has average performance. 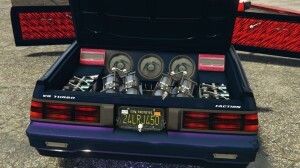 The engine sound is rather unique, in that it shares elements from the Imponte Dukes, but also has the low-revving/idle sound similar to that of the Vapid Blade and Albany Buccaneer. Purchasing a big-bore exhaust will make the engine sound more powerful, as well as giving the car much more horspower and making the engine sound very similar to the Cheval Marshall‘s. 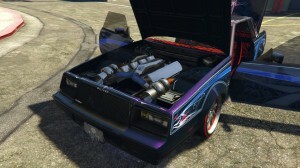 The Willard Faction Custom has mostly identical performance to the stock counterpart, with the notable improvement on how the vehicle handles imperfections in the road. As such, upgrading the Faction into a Custom is heavily suggested for anyone planning on owning the car for extended periods of time. The Willard Faction Custom is a custom variant of the Willard Faction, which features highly-advanced modifications, and hydraulics enabled, not present on the standard Faction. 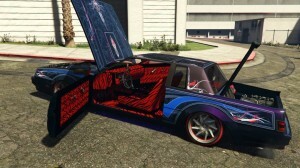 To obtain, the player simply needs to purchase a standard Faction, take it to Benny’s Original Motor Works and upgrade the vehicle to Willard Faction Custom for $335,000. 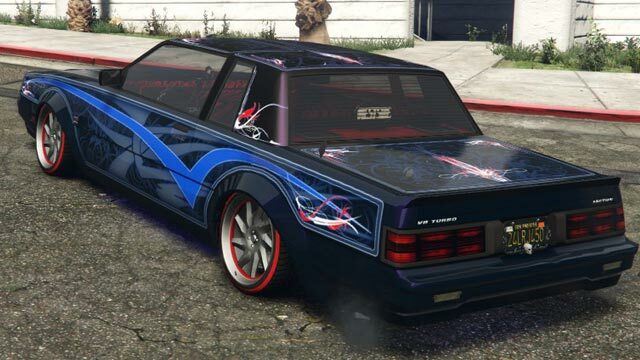 Once the upgrade is purchased, many additional modifications will become available, such as interior modifications, hydraulics, sound systems, vinyls, paint-jobs, plaques, and interior features. The Willard Faction purchasable from Benny’s website for $36,000 (enhanced version only).